Find The Best Snorkel Gear For Your Next Underwater Adventure! So you are looking for the best snorkel gear to bring with you on your next tropical getaway? Great! We love snorkeling on our time off in between diving and usually carry our own snorkel set with us whenever we head to the beach just in case! It is amazing how many cool sights you can experience just meters away from the beach, or by hopping over the side of a boat on a nice shallow reef. A mask and fins set tends to be fairly compact when compared to traditional scuba fins, which makes transporting them easy when traveling. Whenever we are teaching others to scuba dive we also like to have a few extra sets of snorkeling gear lying around the dive shop so anyone can just grab a set and hop off the dock during any downtime. Having your own set of snorkeling gear means you know you will have a mask that fits, doesn’t leak or fog and some good quality fins that will not strain your knees. 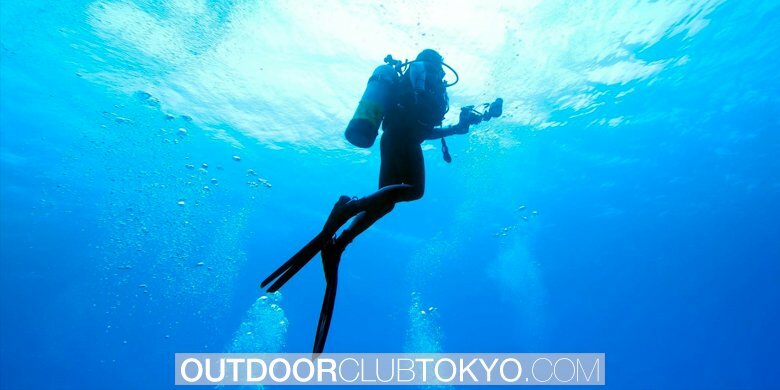 Many of the bundles we recommend come equipped with a dry snorkel which helps keep seawater out of the top of the snorkel in larger waves, and easily vents water should you decide to dive down below the surface, much better than the cheap, flimsy open top snorkels sold at tourist resorts! Avoid a ripoff and get yourself some of the best snorkeling gear that will last but won’t break the bank before your next vacation! Be sure to check below the list for our recommendations for the best snorkeling spots around the globe! Those searching for a full set of gear should definitely take a look at the Phantom Aquatics Speed snorkeling bundle. It comes with a great, comfortable mask and one of the best dry snorkels in any set of gear we have come across. The flexible mouth piece makes it easy to use and the purge valve at the bottom helps keep water out of your mouth along with the awesome wave guard at the top. While these fins the are much shorter than traditional scuba fins they still provide quite a nice level of thrust in the water thanks to their wide blades. The lenses on this mask are quite large and provide a good field of view, and the silicone skirt is soft and comfortable. The whole set comes in a mesh travel bag which is great for transporting and keeping all your snorkeling gear together and dry. This is one of the best snorkeling gear sets on the market and the price is surprisingly affordable! Great for beginners or pros. The Seal Buddy Fiji snorkeling gear set is a good all round option for those looking for a great all round set of equipment. The mask is a panoramic style, which gives you expanded peripheral vision and the clear skirt helps it feel really open under the water, letting in more light. This is great! The included snorkeling fins are small to medium sized when compared to scuba fins, but this helps you be more maneuverable and they still move you through the water well with every kick. The mouth piece is a hypoallergenic material and nice and soft, and was very comfortable during the time we used this set down in the Florida keys. Finally, the travel bag for this snorkeling set is amazing. It is made from extremely high quality durable fabrics and is far better than the cheap travel bags included in some equipment bundles. This set is probably the best all round value on our list when it comes to price and quality, we highly recommend taking a look at the Seal Buddy! Cressi has been making some high quality scuba gear and gaining in popularity over the last several years. This travel snorkel set is nice and compact and easy to fit in your backpack or suitcase. These fins have a nice comfortable heel strap that is quickly adjustable and are shaped to fit most feet nicely. The Palau snorkeling mask has a nice roomy nose pocket and a larger skirt that seals to the face extremely well. The Fins themselves have a medium level of flex that provides ample thrust for their smaller size, and the dry snorkel bends to reach the mouth smoothly, allowing you to snorkel for extended periods of time with no discomfort. Overall one of the best snorkeling gear sets we have gotten our hands on. Another popular snorkel gear set is the US divers Lux Bundle. It comes with a panoramic style snorkeling mask and slightly longer fins that give a decent amount of thrust through the water, and have a flex point at the end of the toes to make kicking easy and comfortable. The heel straps are also easy to adjust and the pair we tried fit our feet nicely. Much like the Phantom Aquatics bundle above, the dry snorkel included in this set is great. The flexible mouth piece is comfortable and the purge valve works well. The guard at the top to stop water from entering the snorkel also directs bubbles away from your face and vision. Personally we really like panoramic style masks as they open up your peripheral vision and are good for those who feel a bit claustrophobic in regular style snorkeling masks. This bundle also comes with a high quality bag for transport and storage, which is awesome. For adventure addicts looking for a solid set of snorkeling equipment that certainly won’t break the bank, the US Divers Cozumel ProFlex set is a great option. Definitely the lowest priced set of gear on our list, there are some compromises made, but the overall kit is pretty awesome for those on a budget. The mask is still comfortable and fits nicely and the snorkeling fins are designed to have the flex point at the tip of the toes, so the whole blade gets into the kick. The only major concession that has been made is the snorkel, it lacks the flexible design of many of the other dry snorkels on this list but still comes equipped with a wave guard on the top. There is also a quick release clip that makes it easy to remove and attach to mask. At this price there is simply no reason to go for the cheap, low quality sets sold at most tourist resorts! This is the same awesome mask we recommended on our best scuba mask recommendations page. This is a great snorkeling mask with a wide field of view thanks to the panoramic style lens. The straps are easily adjustable thanks to easy to use buttons for quick adjustments, and the bundled dry snorkel has a great wave guard and purge valve on it. The flexible mouth piece is comfortable and this package combines high quality and a low price point for one of the best snorkel mask bundles on the market. An great choice for anyone who loves exploring the ocean! We would consider the Cressi Big Eyes snorkeling mask to be one of the higher end snorkeling masks on the market when compared to the others on this list. While the price point is slightly higher, the overall level of quality is great and means this mask should last you many adventures above and below the waves. 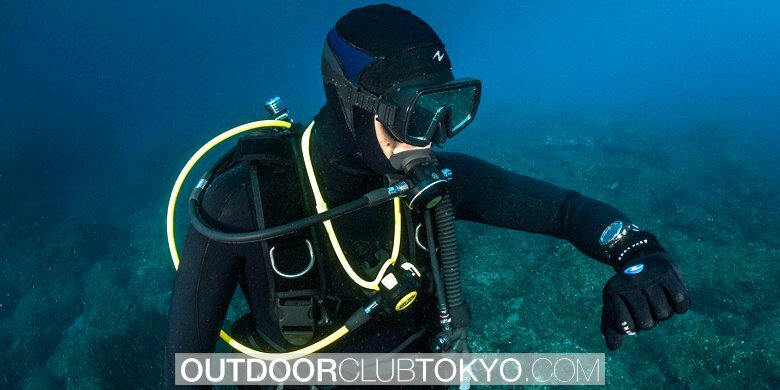 Cressi makes some great scuba and snorkeling gear and the Big Eyes mask is no exception. Extremely rugged construction and large lenses provide a great view of your surroundings. The included dry snorkel has a rock solid wave guard and nice flexible mouth piece as well. The best snorkel mask for those looking to invest in some high quality snorkel equipment. Another option pulled from our scuba masks list, and for good reason. The TUSA Visio mask works well as both a scuba and snorkel mask. The large front lens is complimented by the 2 domed side lenses, a unique patented feature found on a few of TUSA’s designs. This provides a huge field of view and the silicone skirt is super soft and form fitting, which means less leaks. The included dry snorkel has a strong purge valve and the overall construction quality is top notch. One of the best snorkel mask sets we have tested this year. Above we mentioned the Lux snorkel set was a great value, and if you are just looking for the mask and dry snorkel then this is a great option for passionate snorkeling enthusiasts. The large teardrop style panoramic lenses offer a great field of view, not only horizontally but also vertically. This is perfect, as most of the action takes place on the surface looking down below. The dry snorkel is high quality, slightly shorter than some but we had no problems with water entering the snorkel itself thanks to the large wave guard. This set comes with a nice neoprene mask strap for added comfort, especially for those with longer hair. The Cressi Panormaic snorkeling mask set is a good all round package. The mask has a good field of view thanks to the side lenses, and the strap buckles are extremely easy to adjust thanks to the chunky button system that keeps them in place. This set comes bundled with the same dry snorkel as the above Cressi Big Eyes mask package and it is one of our favorite dry snorkels on the market, thanks to the soft materials and comfort factor. The price point makes it a good choice for entry level equipment that is high quality and will last you. As mentioned on our scuba masks page, this is the mask we use with all our students, thanks to the durability and low replacement cost should it be lost or misplaced. This is the original design for these cool new full face snorkeling masks you have probably noticed exploding in popularity if you have been to the beach lately. 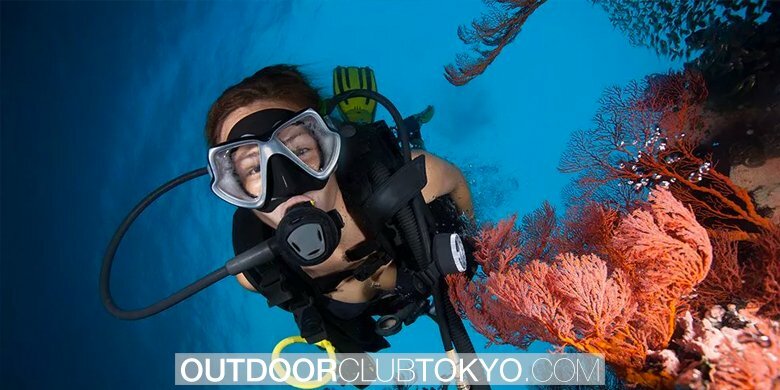 The massive lens gives you a huge 180 degree view of your underwater surroundings, and and allows you to breath normally instead of having a snorkel in your mouth. The top has a mounted dry snorkel and any leaks are purged when you exhale through the bottom of the mask, keeping your face dry. We love these new full face designs and the Easybreath snorkeling mask is fantastic. One advantage of snorkeling is that it requires little hardware. Snorkeling equipment is the first obstacle because finding the right gear for you requires a little time and effort, but not as much as other sport such as scuba diving. Indeed, even first-time snorkelers can rapidly put on the gear and plan for a trip. Wet-suit ought to fit well, implying that they are not loose or so tight that make breathing a trouble. It is critical to use a man’s estimations to guarantee ideal fit. A buoyancy gadget ought to likewise fit well with the goal that it doesn’t slip off amid a snorkeling trip. There is still hazard when snorkeling out in vast sea waters and having a friend or companion go with you is imperative. For example, there is the chance that somebody turns out to be excessively exhausted, has a gear setback, or encounters a harm in the water, a companion to go with during the snorkeling trip can certainly be helpful when it comes to avoiding such possibility. It allows the snorkeler to return to the pontoon or shore. Companions are essential ought to snorkel with each other in order to prevent any possible dangers. Extreme water weather is not perfect for snorkeling and it presents critical dangers to the people who are snorkeling. Snorkelers possess the responsibility to know about the tides on the grounds and on the sea they are going to enter. Wind and rain make untamed water extremely rough and can expand the size and quality of the waves, in this way it elevates the danger of suffocating and different wounds. Neighborhood climate reports have the data important to decide the conditions on the water. Pontoons normally have a radio on board that takes into consideration standard keeps an eye on the climate and water conditions. So overall, getting the weather checkout in a precise manner is a responsibility that you possess as a snorkeler. Here are some tips that are of importance for the first time user. Generally, it covered ideas around making sure that safety is first in order to make sure that you will have a wonderful and safe experience away from the dangers of the sport.